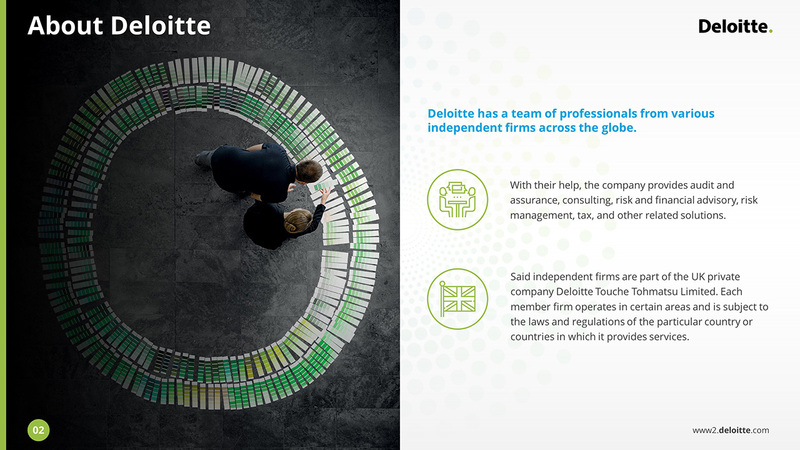 Deloitte is a brand under which thousands of dedicated professionals collaborate to deliver audit & assurance, consulting, risk and financial advisory, tax and related services to selected clienteles. So what makes Deloitte different from others? The answer resides in the specific areas that Deloitte had cultivated with their members, firm, clients, employees, and the society in general. In this deck, SlideGenius focuses on Deloitte’s awards, fiscal year revenue, including Deloitte’s structure.